Worship in a welcoming community where all participate in liturgy and Eucharist, regardless of age. Engage the Bible, Christian traditions and liturgy with creative and critical minds in Sunday School. Serve the parish and wider community as often as you like like to spread God's love and make our world a better place. Stay up to date with what events we have planned for Children, Youth, and Family each month! Click here to register for email announcements from Children, Youth, & Family at St. Luke's! Children are welcome at all services! St. Luke's offers two services specially geared towards children and families: a weekly 9:15 am Sunday service, and a 5:30 pm monthly evening service service. We include children of all ages at our 9:15 am Sunday Service. Children participate in the choir, on the altar, within the sermon, and reading at the pulpit weekly. 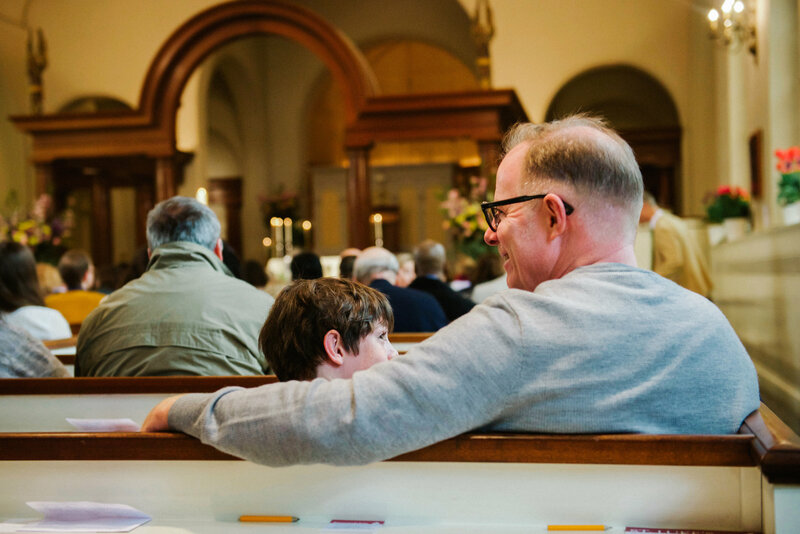 Our 5:30 pm Monthly Weeknight Service is an intergenerational, family friendly service where children have a front row seat and wisdom and love is shared among all ages. Children and teens are able to participate at the altar, and take on roles that may be new to them. Service is followed by a light meal. This service meets in Laughlin Hall, then moves to the Chapel. Nursery care is offered for our youngest members, birth through age 5. Families are encouraged to bring children to the service. Sunday School follows the 9:15 am family service during the school year for ages 4 through 18. Fun and creative classes are lead by artistic and passionate teachers who engage children with bible stories through art, movement, and service. Concurrently, parents gather for fellowship and forums lead by clergy and parishioners in our "Around The Table" group. This ministry is a support and information group for young children and their parents and caregivers. This is a great opportunity to connect and enjoy the company and conversation of other parents and caregivers of toddlers. Join us for coffee and connection. Ones & Twos Group is currently on Hiatus. Young people in third through eighth grades are invited to audition for the choir. They sing at most 9:15 services during the academic year. 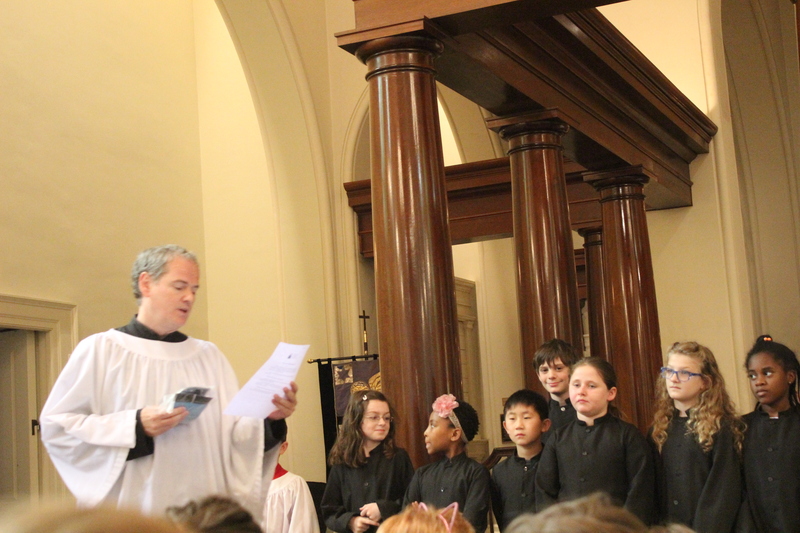 While not a religious education program itself, Choristers offers a marvelous musical education and a small stipend to those who wish to lead the congregation through song. For more information, go here, or email David Shuler, Director of Music. 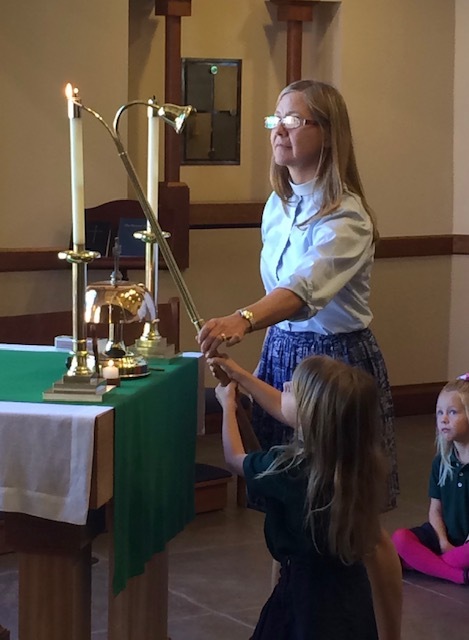 Children in third grade and above are encouraged to lead and learn in the liturgy by serving as acolytes. Our junior acolytes participate in services through activities such as: carrying the cross, lighting candles, and serving at the altar. The St. Luke's Youth Group meets twice a month for fun and fellowship. On Sundays, we gather for Formation at Teens Around The Table. Our Youth Group also plans a monthly fun activity for Youth Group Fun Friday, where events can range from laser tag to glow in the dark dodgeball. Teens can text @ygfun to 81010 to receive all youth Group alerts! Teenagers in the seventh grade or above are beginning to make adult decisions about who they are and how they will live. 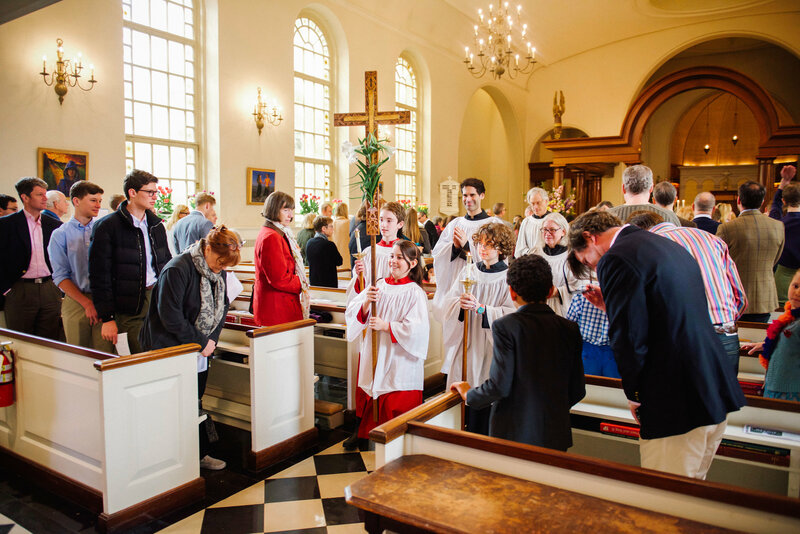 Confirmation studies include the major doctrines of faith, ask questions, and engage their faith critically, and discern what Christian commitment means for young adults in the Episcopal Church. Confirmation classes are offered during the academic year between the 9:15 am and 11:15 am masses. If you wish to be Confirmed, please contact any member of the Clergy and arrangements will be made. Youth Confirmations usually take place at the Great Vigil of Easter.